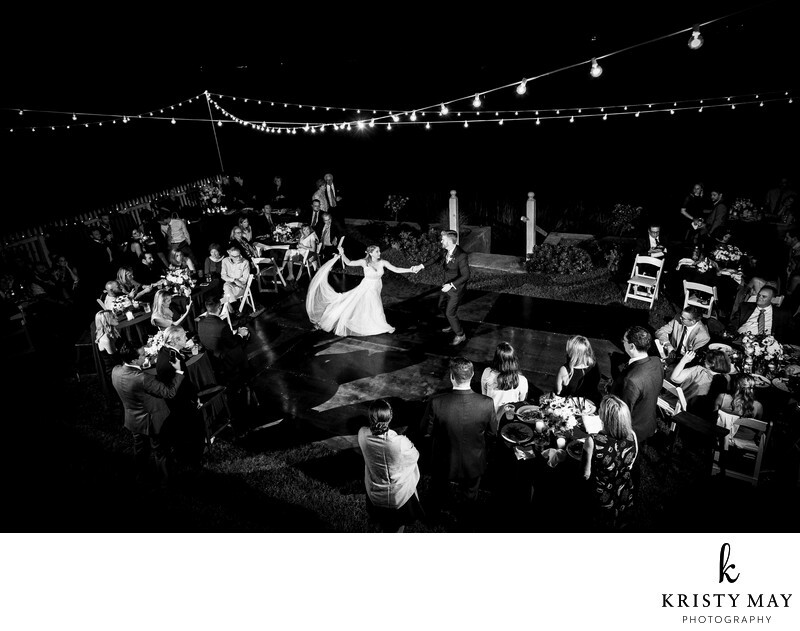 First dance under the stars at a fall wedding on Center Island, NY. String lights adorn the backyard seaside wedding location. Location: Center Island, New York ‎11771.